A revised scrum engagement sequence will be trialled globally following unanimous backing from the IRB’s expert Scrum Steering Group. The trial, which will incorporate the sequence “crouch, touch, set”, was approved at a meeting of the specialist group – made up of Union and players’ representatives, former players and other experts – in Bristol, England, last month. The revised engagement process will be trialled alongside the five Law amendments announced in May, from the start of the next season in each hemisphere and forms one part of the IRB’s ongoing commitment to improving the scrum phase of the Game. This sequence was one of six that were extensively researched at six different levels of the Game, including Women’s Rugby, as part of the initial trial process. “Crouch, touch, set” was found to be the most successful and will now be trialled on a global level. Didier Retière, France’s Rugby World Cup 2011 forwards coach, current France Under 20 coach and Scrum Steering Group member, said: “As coaches and players we have a collective responsibility to buy in to this process and work together to address issues at scrum time. The revised sequence has yielded positive outcomes and it should be noted that the sequence is just one area of the scrum that is being reviewed by the IRB and its Member Unions. The Group examined the results of extensive testing of engagement sequence variations in live and machine environments in a trial driven by the IRB Scrum Forces Project which provides in-depth analysis of biomechanical forces in the scrum. The unprecedented IRB-funded three-year study is being run by the Sport, Health & Exercise Science group at the University of Bath in collaboration with the RFU and is intended to identify better playing, coaching and refereeing techniques for this key facet of the Game. Leading experts from the coaching, medical and scientific fields are driving the two-phase study which has involved the whole spectrum of the Rugby playing population, from men’s and women’s international and elite professional teams to university, community club and school level. Phase one, set against a machine environment, has been completed and phase two which will holistically examine forces in contested live scrums, is already underway with the RFU assisting in providing suitable clubs and teams from the Aviva Premiership to the community level to assist the study. While the “crouch, touch, set” sequence has been selected for global trial, two other sequences will continue to be examined as part of the University of Bath research project. The outcomes of the Scrum Forces Project phase one have been presented to the IRB Rugby Committee and Scrum Steering Group for consideration. Phase two results will be presented during 2012 and early 2013. The Scrum Steering Group comprises: David Barnes (IRPA), Mike Cron (NZRU), Didier Retière (FFR), Brian O’Shea (ARU), Norm Mottram (USA Rugby), Richie Dixon (GRU), Ken Quarrie (NZRU), Graham Mourie (Chairman of IRB Rugby Committee), John Jeffrey (IRB Council Member & SRU), Gavin Williams (RFU), Dr Martin Raftery (IRB Chief Medical Officer), Paddy O’Brien (IRB Referee Manager). Scrum Forces Project Group consists of the Scrum Steering Group plus the following: Keith Stokes (University of Bath), Dr Mike England (RFU), Colin Fuller (IRB Risk Management Consultant), Grant Trewartha (University of Bath), Ezio Preatoni (University of Bath). After a long illness, the Refblog extended family lost one of its architects this morning. The Rev Canon Peter Oades, grandfather of Mrs Refblog passed away after a long illness. As a mark of the selfless man he was, he waited for the return of his daughter (my mother in law) following a holiday of a lifetime that at one stage was at risk when he was taken ill back in January. He knew that. He knew they would cancel the trip, and he knew they’d shorten the trip if he went during it. So he waited. He must have been in pain, but he didn’t mind. The mark of a great man. 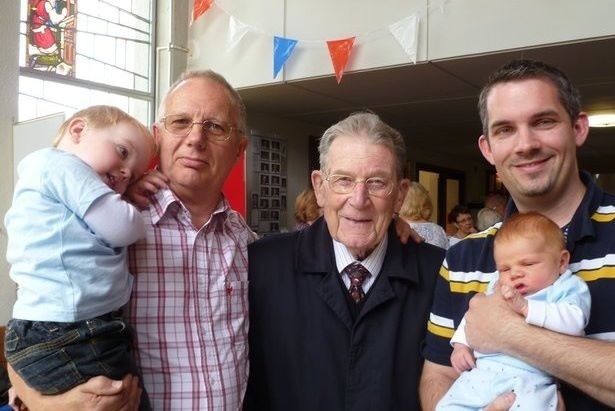 Here he is with his son in law, two of his great-grandchildren and yours truly on Fathers Day last year. Refblog Jnr II was only a few weeks old. I’m occasionally asked by PR types (of which I’m one) to promote events, products or other fun stuff and mainly I don’t, but on this occasion I thought I’d play. Mainly because a mate of mine went to this one last year and said it was a top night. The England Legend’s team, captained by Martin Corry, will include Jason Robinson, Jason Leonard, Austin Healey, Mark Regan, Richard Cockerill and Andy Gomarsall. Ireland will be hoping to reclaim the Stuart Mangan Memorial Cup from last year with Shane Byrne leading a team including Mick Galway, Eric Miller, Malcolm O’Kelly, Nick Popplewell, Justin Bishop, Kieron Dawson and Anthony Foley. Pity the poor bugger who has to ref that lot!! But who ever has that lucky evening appointment, it’s all being played for a great cause – the RFU Injured Players Foundation, RPA Benevolent Fund in England and IRFU Charitable Trust in Ireland, and both teams are also proud to support Tickets for Troops at the game. Tickets are from £10, concessions £5, and are on sale from www.englandirelandlegends.co.uk or www.quins.co.uk . Sure you’ll be able to pay at the gate! Not a bad way to start St Patrick’s Day weekend eh!?! An interesting interview from the IRB Media team and Total Rugby with IRB Referee’s Chief, Paddy O’Brien. 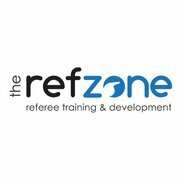 He discusses the RWC 2011, thoughts on changing the law on rucks, scrummaging and on refereeing pathways from non-European and SANZAR countries. Interesting that he thinks 2 of the RWC games weren’t reffed properly. Think we can all guess that one was the Bryce Lawrence fiasco in the SA v Australia, but what was the other? ?